CGHS PUNE nothing but CENTRAL GOVERNMENT EMPLOYEE SCHEME is introduced by the Government of India under the Health Ministry on 1st July 1954.In India 25 units are working to provide scheme to central government employee currently working and retired people. In India has poor knowledge of a scheme and lack of awareness. We are providing awareness in CGHS people for getting benefits from the government in the Hearing aid. The facility can avail in different healthcare systems such as Homeopathy, Ayurveda, Unani, Yoga, and Siddha. 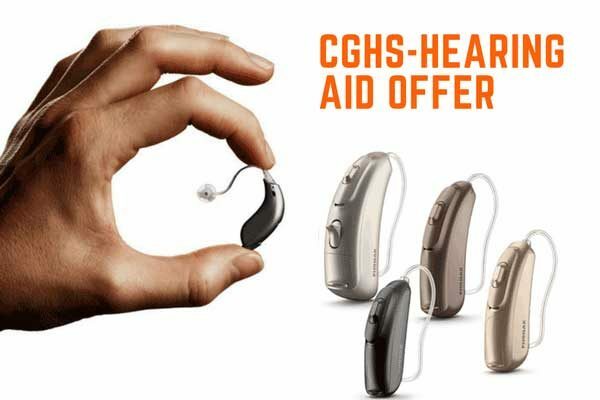 CGHS PUNE-Hearing aid free is a one of a government scheme for service and retired persons. But there is some checklist fulfillment by the beneficiary fro avail the offer of CGHS PUNE-Hearing aid free. The Claim should be for self and address to Additional Director. Revised both MRC form filled by applicant and own authority of signature. Original Bills and Cash Memo reports attached with forms. Government ENT letter for hearing aid and not from an audiologist. Undertaking letter of beneficiary has not got any reimbursement for the cost of hearing aid in the preceding five years. Xerox copy of bank passbook Ifsc code and account holder name. The Medical claim should be submitted within three months from the date of discharge. For two Ears 30000 and 40000 will avail the CGHS PUNE-Hearing aid free offer. The Government of India has taken good initiative for Hearing Impaired people in CGHS Pune. If you have any difficulty or problem regarding hearing aid call us for help or visit-cghs.gov.in.